Disney's Hollywood Studios celebrates 'Frozen,' with a daily character procession, sing-alongs with Anna and Elsa, fireworks, and a nightly party featuring a live DJ, all themed to the worldwide phenomenon. 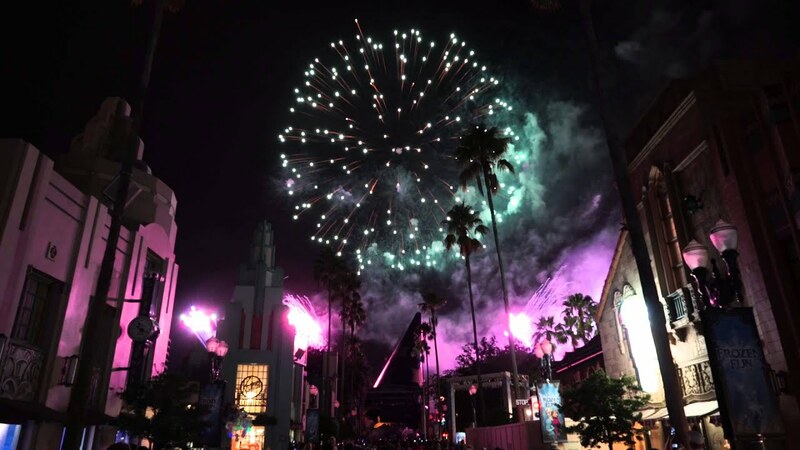 See the opening night Frozen Fireworks for 2015's Frozen Summer Fun at Disney's Hollywood Studios. 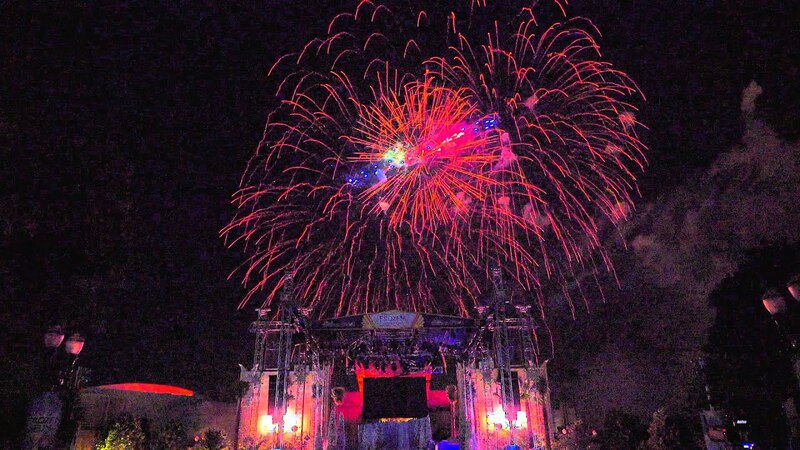 LOVE to see that Disney will continue to have the Frozen Fireworks. We feel that they are the visual display Disney has produced in a long time. LONG LIVE THE FROZEN FIREWORKS . This summer, Disney’s Hollywood Studios will be celebrating “Frozen,” the hit animated feature film from Disney, with a daily character procession, sing-alongs with Anna and Elsa, fireworks, and a nightly party featuring a live band, all themed to the worldwide phenomenon. June 17 through to September 7 2015. Frozen Fireworks 9:30pm - nightly firework spectacular also featuring Anna, Elsa, Kristoff, and Olaf on stage. Frozen Royal Welcome 10:30am and 1:30pm - twice daily cavalcade featuring Anna, Elsa, Kristoff, and Olaf . For the First Time in Forever: A “Frozen” Sing-Along Celebration. 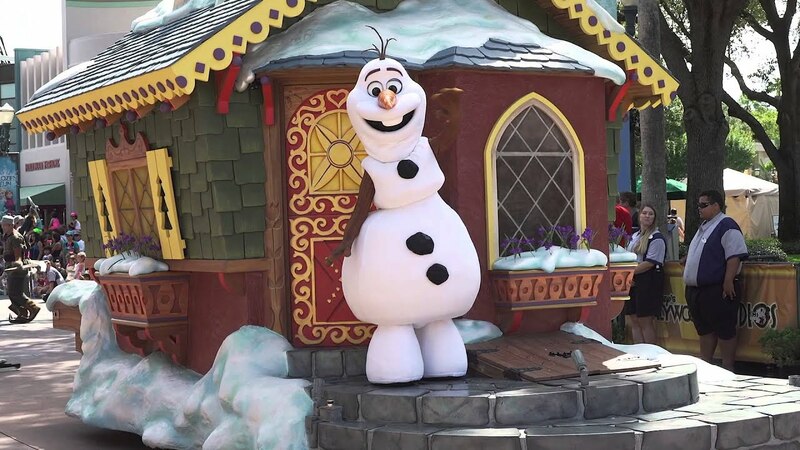 Olaf’s Summer Cool Down 11:30am, 12:30pm, 2:30pm, 3:30pm, 4:30pm, 5:30pm - on stage appearances by Olaf on the event stage throughout the day. Coolest Summer Ever Dance Party 5:45pm to 9:30pm. 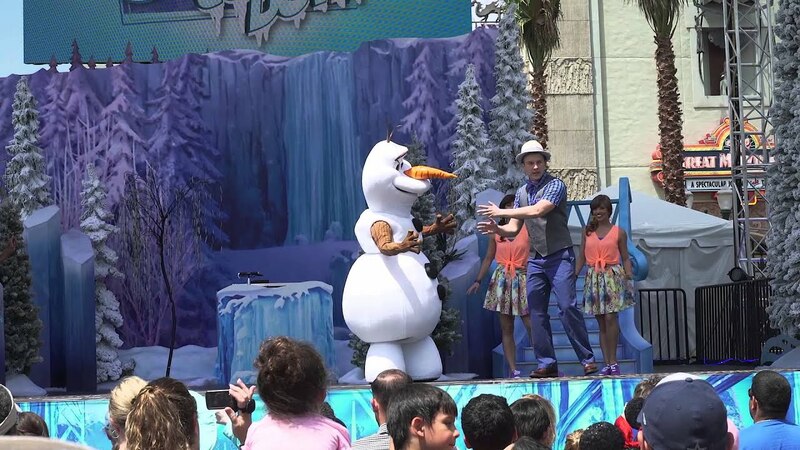 'Frozen Summer Fun - Live at Disney's Hollywood Studios' will be taking place from July 5 to September 28 2014. The cost for skating is $10 per person, per 30 minutes, which includes the use of ice skates, socks and a helmet. Guests are also allowed to bring in their own equipment to use. The rink will be open in Soundstage 1 from park opening to 8pm daily through the event. Skating is available on a first come, first served basis. Waivers for all guests are required and minors must have an adult/responsible party age 18 or older present to sign for them. Frozen fireworks will take place on Fridays, Saturdays and Sundays only from September 5 to September 28 2014. The 'Frozen Summer Fun' Premium Package will provide a reserved viewing area for Anna and Elsa's Royal Welcome procession, reserved seating for a showing of 'For the First Time In Forever: A Frozen Sing-Along Celebration' show, and a dessert party viewing of the 'Frozen' Fireworks Spectacular.